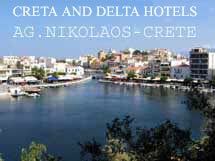 The hotels are situated at less than 5 minute walk from the center of the town of Agios Nikolaos and at close proximity from the beach. 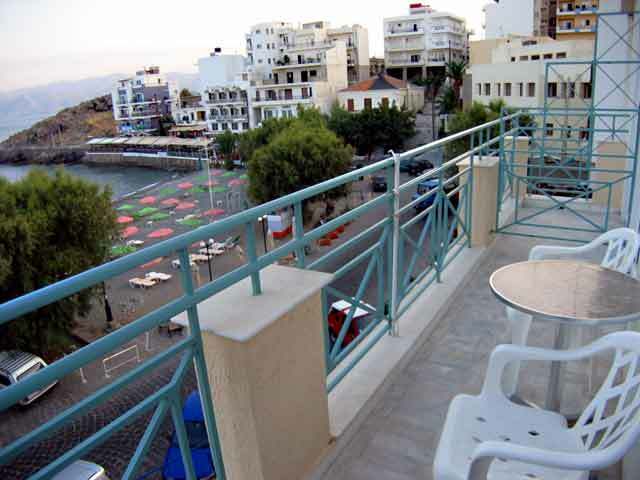 During the last five years they have undergone major renovation work and now offer mordern self-catering facilities at reasonable price. 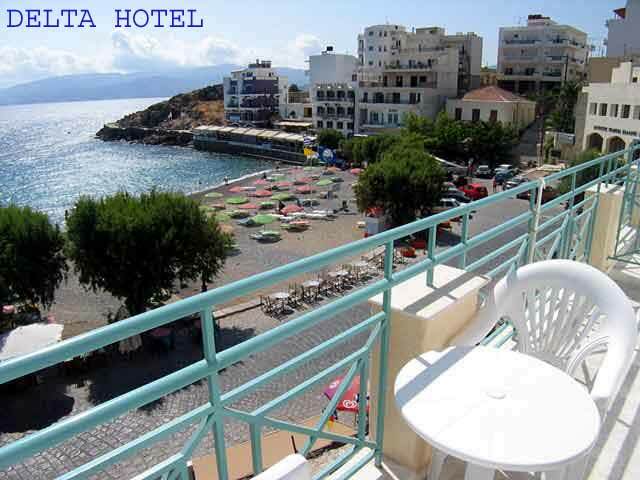 CRETA HOTEL Facing the island of Ag. 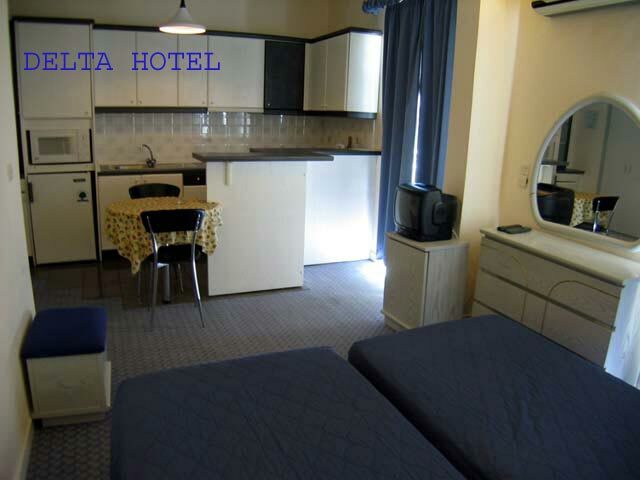 Pantes, the hotel is located on a quiet street, 150 metres from the beach and at a 5 minute walk from the town center, in 22, Sarolidi street - Agios Nikolaos - Crete. 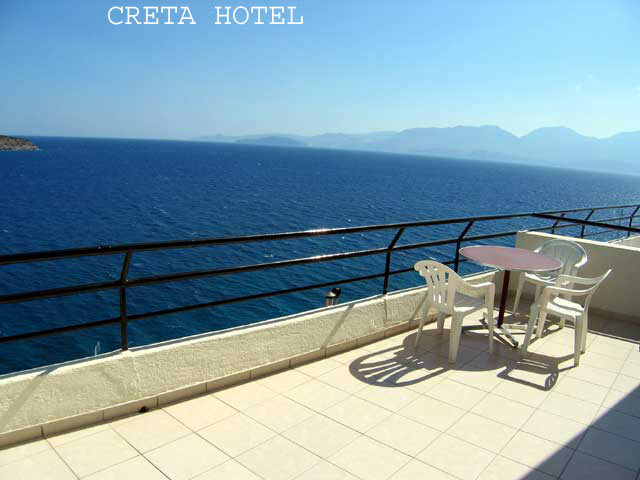 CRETA HOTEL has 23 units with air condition, T.V., telephone, well-equiped Kitchen, balcony with sea-view or not. 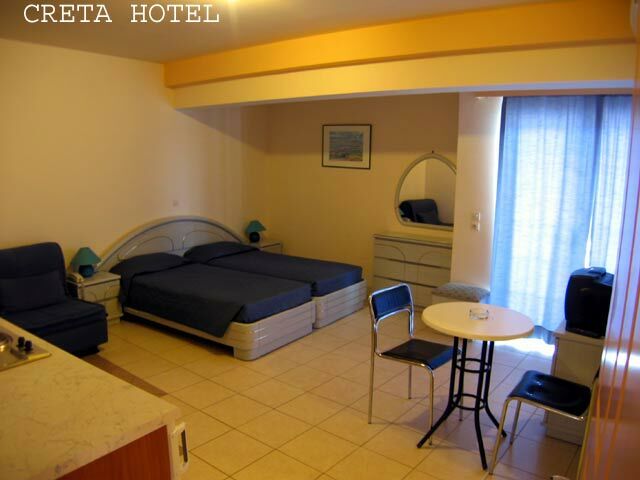 DELTA HOTEL located opposite the kitroplatia beach, the hotel is also at a 5 minute walk from the town center. 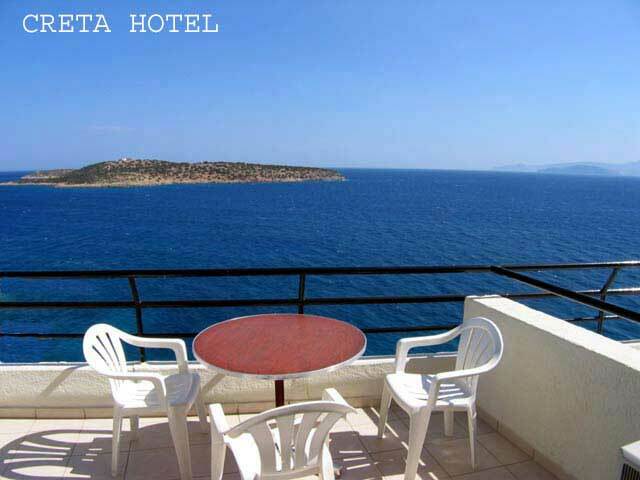 DELTA HOTEL has 8 units from which 4 have a sea-view balcony. 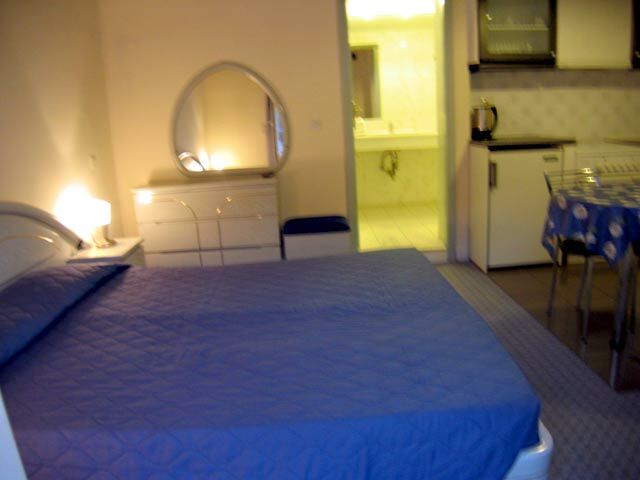 Each room has air-condition, television and telephone, a dig Kitchen and private bathroom. 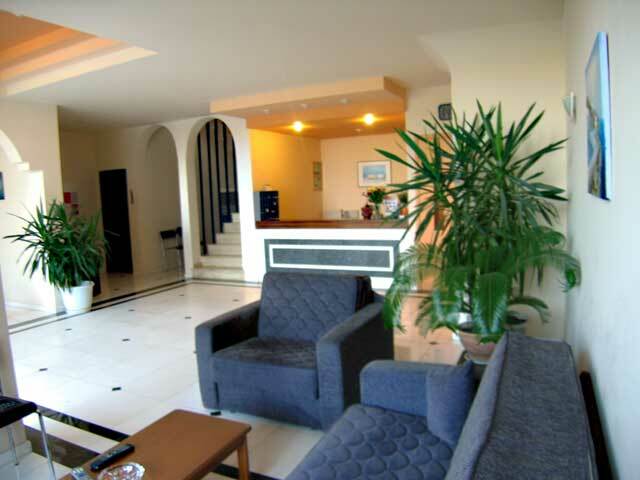 The hotel remains open throughout the year. 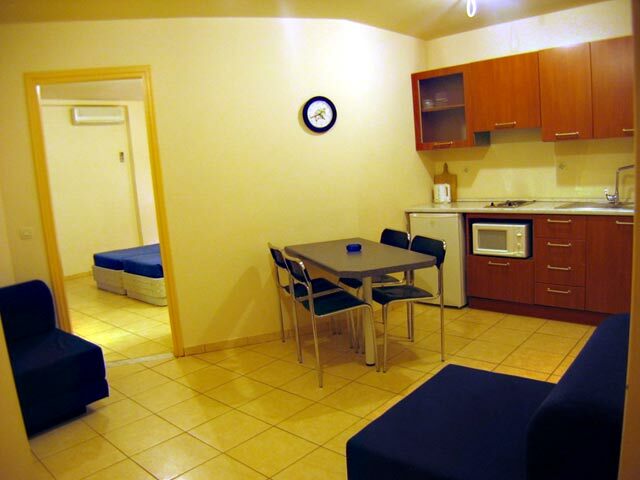 From November to April.